I like this. 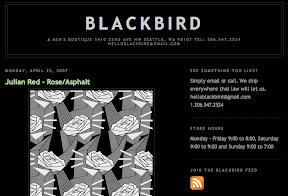 A simple blog for an exclusive men's boutique in Seattle called Blackbird. 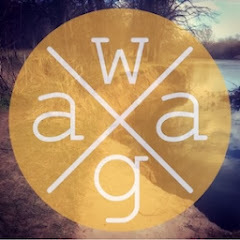 It gives you all you need to know about the store... plus posts on all their new gear. Gives personality to the store... and adds value to the regulars. Why am I posting this on the hardthink? 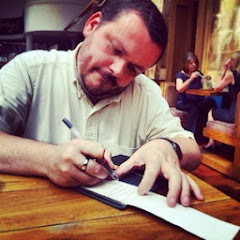 I think it demonstrates how a simple blog can be used to great effect... and I am thinking specifically about charityshopping. Bellshill Salvation Army are looking closely into opening a charity shop... and I think the concept of coolhunting could be used to great effect in conjunction with a simple blog. They work well together because of the random and limit nature of donations... special "cool" merchandise could be put to one side and "advertised" via the blog. I think this will work. Thanks to Josh Spear for the heads-up. We will never know why!